I found myself reading a kindred spirit in the writing style of Wells Tower. Tower takes a comprehensive approach to character development and story complexity, with the attitude of a fellow Gen Xer. Well-written subject matter carried a dark subtext, but not usually of some harrowing violence or a macabre scene – though the unusual title story “Everything Ravaged, Everything Burned” certainly filled that role, following a violent story of Viking invaders with hints of fantasy and speaking in current day vulgarity. These were stories about every day real people living real lives in the face of adversity and challenging interpersonal relationships. With exception to the title story, I found myself struggling to accept the stories’ endings; I wasn’t ready to finish when they did. The lush prose and witty language made for compelling page turning, but the endings left too much unresolved. I did something I don’t normally do when I write a book response or review: I read some online reviews by other readers to see how they responded as I work my way through my own takeaways. 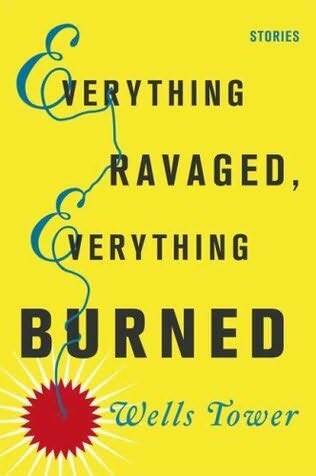 Everything Ravaged, Everything Burned was loved by many readers though a handful disliked the lack of closure displaying the same feelings I had when I finally put the book down. Going back to my original point, it’s what wasn’t written that caught my attention. It was intentional to create discomfort, depicting the uncertainty of the real world. Not everything has a clean ending, or an ending at all, as we move through time and space interacting with each other. As far as writing craft goes, it’s difficult for me to find specific focus on what I may have gained from Everything Ravaged, Everything Burned as I did from other recent books this year. His writing style shares many craft elements to my own. I will say this, though, it gave me a new respect for taking chances, particularly leaving stories intentionally open-ended. And it has spurred a new thought-process worth considering in forcing the reader to make connections and draw conclusions. I’m sure a few readers were put off for this reason, but I embraced it the trust and confidence Tower put on me. Whimsical, stream-of-consciousness run-on sentences portraying the inner workings of defective people facing situations outside of their comfort zones. Darkly humorous and grimly serious, George Saunders’s short story collection Pastoralia was unusual to read and hard to put down. 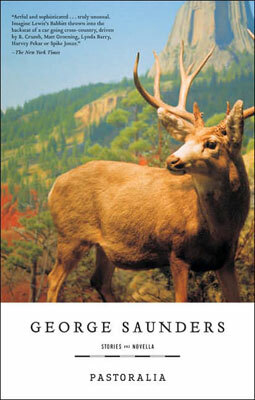 Saunders nails the flawed protagonist’s portrayal in every story: egocentrics searching for self-esteem, self-deprecating narcissists looking for love, the last minutes of a troubled boy’s life, and a theme park living-history performer trying to get through serious life circumstances in the most mundane manner possible in a mockery of corporate America. The setup of the speaker’s story is drawn out, like he is stumbling through his thoughts, though it’s all intentional from a motivational perspective. As the scope narrows to the point, “how was that my fault?” sentences constrict themselves driving the point’s emphasis home. A similar structure appears in the following passage from the title story “Pastoralia,” in which the corporate leadership sends out one of many memos to the living history performers in a theme park. It starts out short, becomes quite long, then reigns itself in. It is a bit long, but well-worth reading. Even though this is satire, I feel like I have come across similar self-aggrandizing corporate communications in the past, talking in circles, using many words to say so little. In this passage, the shorter, more specific sentences seem to be where the truth actually lies – the negative rumors. Whereas the positive rumors the author refers to are stumbling streams of thought aiming for justification by quantity of words. Returning to the story “Winky,” this style of writing is used to depict the protagonist’s state of mind after finishing his session with the motivational speaker. His limited perception of wealth and his lack of worldliness are revealed through the process. Both humorous and sympathetic. The tragic story “The End of Firpo in the World” brilliantly captures the racing imagination of a mischievous, troubled boy, Cody, as he plans a prank on his neighbors while quickly riding his bicycle around the block to assess the situation. Again, it’s long, but showing an abridged form would not do it justice. So, what did I take away from the book that I can carry into my own writing? 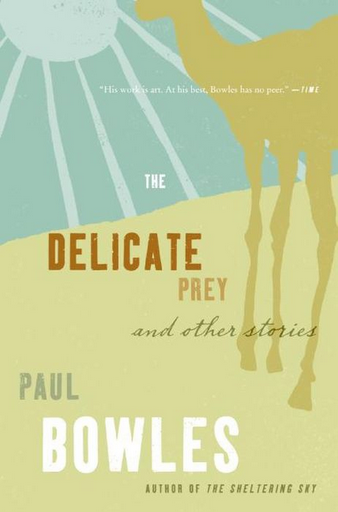 Like I concluded after reading Cormac McCarthy’s The Road a few months ago, breaking the conventions of proper sentence structure and grammar, the writing craft alone creates the mood and environment in which the story exists. The run-on sentences contrasted with the short abrupt statements, in this case, create a natural duality reflective of how people think and perceive the world. One idea begets the next idea, which opens a tangential thought and so on. The pathetic and tragic characters of Saunders’s stories, as whimsical as they appear, are real enough that I don’t question their identities and authenticity. My take-away is simple: creatively (i.e. break the rules) use the craft as appropriate for the story to give it credence; don’t hold back. Jim Shepard’s collection of stories is a unique mix of heavily flawed characters, dysfunctional families, early twentieth century military and engineering feats, classic horror movies, and dark humor. His stories take unconventional approaches to a variety of taboo and uncomfortable subjects, of which I am focusing on the stories portraying the protagonists or cast of characters near death. So? we said to ourselves. Everyone knew that learning to fly meant little more than learning to land. But pilots are taught to land by flying alongside instructors. There was no room for two in these things. So we’d have to be told, rather than shown. In conclusion, I could discuss this collection for endless hours, as the stories are rich in vivid content and unusual circumstances. I highly recommend Love and Hydrogen to anyone who enjoys the art of short fiction.